The staff hopes that everyone enjoyed the skating season with us. Look for our return early November 2019. Our 2019- 2020 skating lessons brochure should be available towards the end of Summer. Please check back. In the meantime, please explore our website from the previous season. Welcome to Mercer Skating School! Welcome to our 2018 & 19 season of ice skating lessons at Mercer County Skating Center. 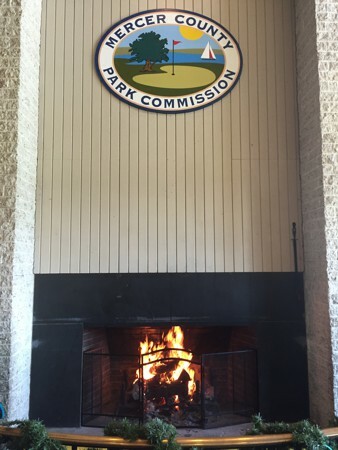 The center is conveniently located in Mercer County Park, West Windsor, NJ. This website is entirely dedicated to our skating lessons program. 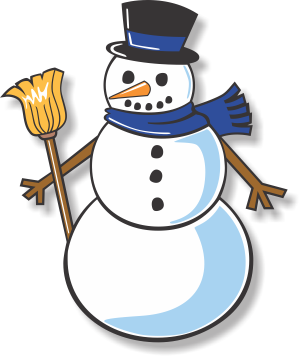 If you are looking for information on our other services, such as public skating, birthday parties, or private events, visit the Mercer County Skating Center Website for further details and contacts. 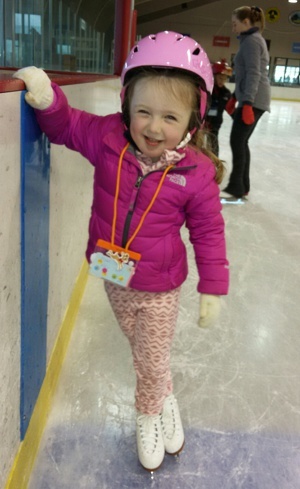 Ice skating is a great family activity! It is ideal for exercise and developing a very fine sense of balance and coordination. Do you just want to learn how to stop on skates or how to skate backwards? Perhaps you really want to jump or spin on skates. Maybe you have ice hockey in mind. Even hockey players start by learning how to skate first. Just maybe you are an adult that believes that kids shouldn't have all the fun. 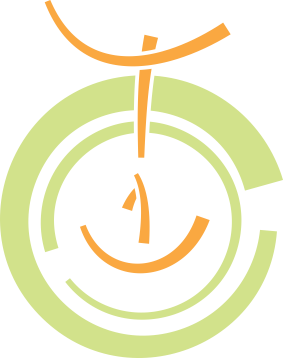 We'd love you to join one of our fun, no tests, adult classes. We offer a wide range of class and private instruction to serve all your skating aspirations. We offer three, 5 week sessions during the skating season. They begin in November and end in March. Most classes use the 5th week class for evaluation purposes. Students passing the evaluation will be moved to the next class level. Have a great season of skating at Mercer County Park! Please show up to your first lesson at least one half hour before your scheduled lesson time. You will need time to purchase skate rentals, select your proper skate size, and pick up your ID badge. While selecting your skates, we recommend figure skates rather than hockey skates for first time skaters. The longer blade length of figure skates will provide more stability for the beginner skater. Also note that rental skates are available only in whole sizes. Skate boots should be snug, but not uncomfortably tight. The upper part of the boot should be laced for a snug, but not tight fit, and securely tied. Please ensure that the laces do not touch the ground after they are tied. The boot should not flop from side to side when worn. If a properly tied boot does not provide good support to the ankles, a smaller boot may be required. If you would like to purchase skates, please see our staff for recommendations. We do not recommend adjustable skates. We also do not recommend inexpensive, leather like skates, since they generally lack adequate ankle support. Double bladed skates will not be permitted on the ice. Remember that newly purchased skates require sharpening. Sharpening services are available at the skating center. Do not forget helmets and gloves. The rink is sheltered, but is subject to outdoor temperatures. Please wear appropriate clothing for the temperature. Gloves are always recommended, lighter weight gloves for warmer weather are appropriate. It may be a bit scary at first, but most importantly, Have Fun! Do not include skate rental fees with your registration. Skate rentals and rental cards may be purchased from the outside ticket office at the rink. Be sure to arrive early on your first day of class. 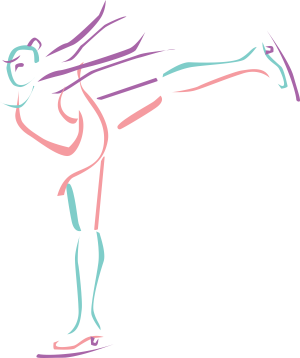 Two classes same session discount applies only to a skater that is attending any two of the following classes during the same session: Ice Dance, Footwork, or Freestyle. This discount is not a family discount for regular classes. Our 2018 - 2019 Group Lesson Brochure. 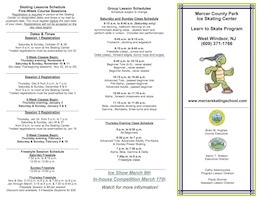 The details on our Learn to Skate Program, registration form, and ISI application, all in one handy document. Please contact us for any further information on any of our skating lesson programs. All of our classes, practices, and important dates!